Trout seem more easily spooked in the winter. A trout’s metabolism makes them want to seek out pools near the bank that are warmed by the sun, so they are more vulnerable. Also due to the slower metabolism, the fish may be sluggish. They often will bite gingerly, hook-ups will be primarily in the tongue. As trout may often go after several small insects in one mouthful. So rigorous setting of the hook is not required. Winter is the time to use subsurface flies. Although, flies will hatch and trout will rise to them under the right conditions during the cold weather months, drifting nymphs under a strike indicator is the most dependable and productive winter fly fishing technique to use this time of the year. Pheasant tails, golden hares ear, stone fly, midge, weighted lures, especially the goldheads are also a popular fly throughout the cold winter months, I would suggest you take quite a few different colours if this is your chosen method. Gold head trout flies can be fished on any line, from a full floater to the fastest of sinkers. Downsizing your fly patterns is recommended. Sizes 12 to 20 works best since like the fish, the bugs have a slow metabolism in winter also, and they haven’t grown to their full size yet. Downsizing your leader and tippet is also recommended. Many times the water will be more clear in the winter. Dropping down a size or two will help prevent leary fish from being spooked. Mild winter days, specifically afternoons, can provide some shirtsleeve fishing opportunities. Coastal regions that rarely get snow or ice, need to be checked more for river levels. Three or four days of steady rain can make a river unfishable. It is also rarely enjoyable to fish in well below freezing temperatures. Even if you can dress warmly enough, the ice on the guides make casting nearly impossible, freezing fingertips and the slickness of entering the river is extremely dangerous. Extreme care should be taken when wading in general, one slight misstep, can send you into the river, dangerous all year, this is multiplied by the cold air temperatures in the winter. Also light is much less, making it difficult to see the river bottom while wading. So step very cautiously. And always fish with a partner. The new Wavehopper Inflatable Fly Vest Lifejacket is a superbly designed practical buoyancy device priced within reach of every angler. So, whether wading large salmon rivers or boat fishing on a reservoir, the Wavehopper Inflatable Fly Vest Lifejacket gives you the peace of mind and functionality never before available at this price. Tailored for maximum comfort, you’ll never know you’re wearing a life jacket until the day you need it. Put through the toughest testing procedures for over 2 years, the Wavehopper Inflatable Fly Vest Lifejacket has been fully approved to meet the latest ISO12402/5 standards and comes with 120 NEWTON internal bladder. Available in manual or fully automatic versions. Every year anglers drown -DON’T BECOME ONE OF THESE STATISTICS! Note: The Wavehopper Inflatable Fly Vest Lifejacket MUST be worn outside all other garments and is tailored this way; failure to do this may result in injury when activated. 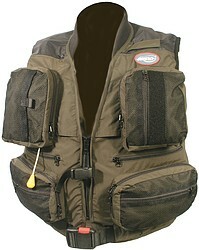 Click here to buy the Wavehopper Fly Vest now! So you want to fly fish huh? Well, it won’t be easy but it will be rewarding. Amateur anglers worldwide are learning how to master this ancient and exciting sport. There’s good reason too, it’s really fun as you are fishing with real light and limited tackle, so when playing a fish you feel part of the fight! First thing to keep in mind is that the main objective of the sport is to use your fly / lure to act out the motions of fly, insect or small bait fish. These imitating behaviors fool fish into thinking that your actions are those of the creature and that your bait is actually real food. Many types of fish can be caught with fly fishing including: Bass, Trout, Salmon, Carp, & others. Needless to say, this type of fishing can be used for a big catch. What you need to do is get some artificial flies along with a fly rod and fly line. Obviously, you can’t throw a fly very far. So, you will need to attach a fly line to it. Once you have your fishing instruments, head out to the closet lake or river. One of the hardest parts to nail down is establishing control of your line when it hits the water. There are many different techniques you may employ, but a viable option would be to use a similarly weighted fly as the rod. Now, simply try an overhead toss and go for some distance. Remember that the rod is used a lot like your extending your arm. When the fly line hits water, try to maintain control. The main goal of fly fishing is to cast the line as opposed to the lure. Casting is one of the primary skills you must acquire when taking up fly fishing. A great way to cast your line is by sending it out in a straight, narrow line. Straight line casting will ensure that it lands properly and is one of the most effective ways to cast. Shooting the line is another casting method in which you release line while you are casting. The purpose of this technique is to extend your line. It will help you gain greater distance that was previously unattainable. This method should be used when you have had a bit of practice casting. It’s also important to become familiar with the different types of fishing knots. This is an essential tool for the angler. Your fishing knot whether it be the surgeon’s loop, the half blood knot, or the perfectionist loop will help you cast line much more effectively. Waders are boots that reach to a fisherman’s waistline, they are used by anglers to swim in the water for a better fly fishing catch. It helps them increase distance and pick exactly where they want to cast their line. There are many different types of boots, pick the right ones and start casting a deeper line. 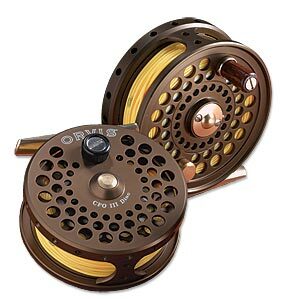 Now, get your fly fishing skills up to par. Casting is an art form and there is a certain knack that can only come with time and dedication, but once mastered you will not forget it. Choosing the fly and remembering the fly names is more of a skill, without the correct fly or lure on the day may determine if you catch or not. I would recommend you study the hatch on the water and search for a fly which resembles the real thing. However if after a few casts there are no takes, try a different fly as colour and size differs from day to day. Just make sure that you know how to cast a line, tie a fish knot, and control your fishing rod. With dedication, you too can be a fly fisherman (or woman). The brown trout can found in UK brooks, streams and rivers. The size is dependant on their environment, a trout in a brook may reach only 7 inches, yet a brown trout on a larger river can easily reach 5lbs. There diet consists of small fry, worms, snails, flys and general insect life.